TUCSON, AZ (KOLD News 13) - Saguaro National Park is offering a variety of walks and talks that explore the park’s wonderful natural and cultural histories. Program listings also are available on the park’s website, www.nps.gov/sagu, or visit on Facebook. Interpretive programs are free, but park entrance fees apply. Program schedules are subject to change; visitors should call the visitor centers for updates or reservations. Programs are offered on most days in the morning at 10:15 and/or 11:15, and in the afternoon at 2:15 and/or 3:15 and last 30 to 45 minutes. Topics include mountain lions, lizards, coyotes, javelinas, kangaroo rats, insects, birds, survival strategies, the saguaro cactus, and other topics related to the desert. All programs are subject to change. Call the visitor center at (520) 733-5158 for updates the day of the program. Apr. 27 9:45 a.m. The Plants Tell All Walk: 2 hours, 3/4 mile: Plants are the foundation of the web of life. Join a park naturalist to learn the secrets of what ties the plants and animals of the Sonoran Desert together. Plant survival, insects and spiders, birds and mammals -- nothing is off limits for discussion on this discovery trek through the desert. For this moderate walk, closed-toed shoes, a hat, and water are required. May 10 11:15 a.m. Reptiles of the Tucson Mountains and Avra Valley 45 minute talk: Learn about the snakes, lizards, and turtles of the area, including identification, habitat use, and safety from venomous species.This presentation is by Lawrence L.C. Jones. Just before and after the presentation, Larry will sign copies of his book, Lizards of the American Southwest, which will be for sale at the visitor center. No reservations necessary. May 6, 14, 21, 28, 31 2:15 p.m. Marvelous Mimicry Talk 30 minutes: Not all is as it appears… Come learn all about the optical illusion that is mimicry and adaptation, of which has helped shape some of the life in the Sonoran Desert! Wheelchair accessible. April 26 10 a.m. Wildflower Walk Guided Walk: An easy, level, one-hour walk to see the commonest flowers in bloom this day and a basic look at the magic of flowers. Comfortable walking shoes and water are recommended. May 2, 9 10 a.m. Is it a Cactus or A … sparagus? Garden Walk: We all know a cactus when we see it, right? Maybe not! Find out how our two families of spiny succulent plants are the same, but different. Accessible program. Both visitor centers are open daily from 9 a.m. to 5 p.m., except Christmas Day. 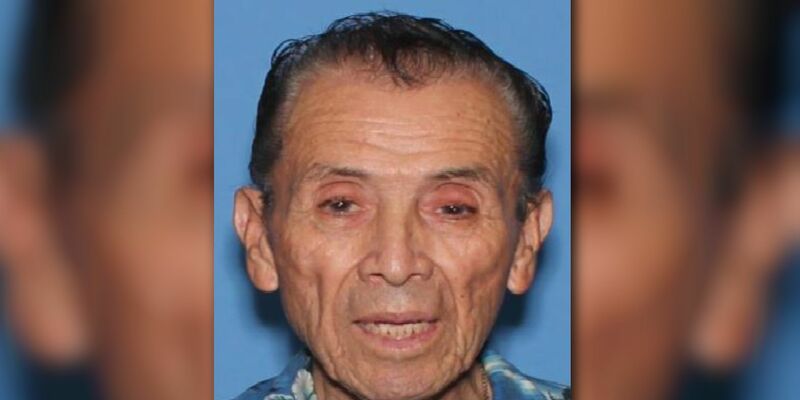 A Tucson man with dementia has been missing since April 18. Detectives are on the scene now.